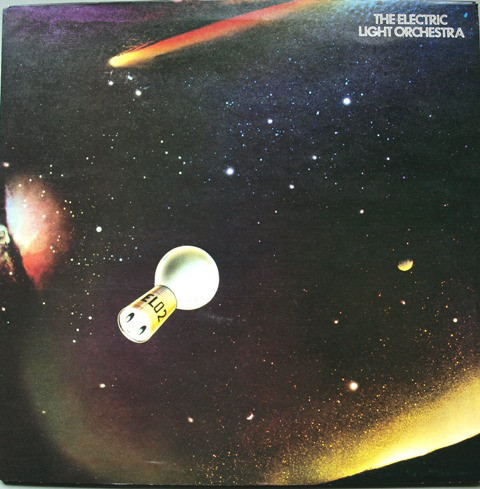 After their totally unique, quirky, adventurous classical/rock/throw in the kitchen sink debut album, The Electric Light Orchestra returned with more of the same. Roy Wood left to form Wizzard during the recording, and only appears on two tracks, playing cello, so the sound changes a little from the first album, in that it starts to display the Jeff Lynne sound that would be honed and fine-tuned over the next ten years or so as ELO became one of the biggest bands in the world. They were not that, yet, however, and this is another brave but slightly indulgent album that was never going to be hugely successful, commercially. It is only five lengthy tracks of classical/rock crossover experimentation and, to be perfectly honest is, shall we say, a "challenging" listen. It is worth giving a few chances to, though, like its predecessor. It does hide hidden pleasures deep down there, somewhere. "In Old England Town (Boogie No. 2)" is a sonorously orchestrated, prog-ish number, full of deep cello sounds, a slightly crazed, scratchy, discordant vocal and a slight feel of that late sixties psychedelic Beatles era that was present on "10538 Overture". "Momma" is probably the first typically Jeff Lynne number on both albums so far. 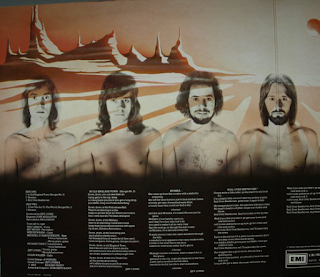 It is a slow, string-dominated rock ballad, but if you heard it "cold", you would probably immediately say "Electric Light Orchestra", which showed that the group were starting to develop a musical identity. "Roll Over Beethoven" was an absolute classic single, from that plagiarised classical intro to the iconic Chuck Berry electric guitar intro and Bev Bevan's steam-hammer drumming. Jeff Lynne's vocal is top notch too. I remember buying it as a single and absolutely loving it as a fourteen year-old. I still do. It is one of the only singles where I feel the "single version" is better than the sprawling "album version" that we get here. This lengthier version is somewhat disjointed and dilutes the sheer punch and pacy energy of the single. It is still fantastic, though, and is by far the best thing on either of their albums so far. The Electric Light Orchestra had arrived with the release of this song as a single, make no mistake. "From The Sun To The World (Boogie No. 1)" is another very typically Lynne track, despite Wood's presence on the distinctive cello "riffs". I am convinced Hugh Cornwell of The Stranglers used Lynne's vocal on here as a blueprint to style his own on "Hanging Around". The vocal is mainly at the beginning of the track, the rest of it is made up of instrumental changes in pace, all very proggy and grandiose. It has quite a few appealing moments, though, and the sound quality is excellent. "Kuiama" is eleven minutes in length and is another prog-rock influenced number, with many ambience and tempo changes, sprawling along with occasional vocals (that I believe are anti-war, but are very indistinct and muffled). It goes on far too long and maybe it was no surprise that it was their longest track and they never did anymore as long or indulgent. Any good intentions it had became lost in the murk. So, this was a patchy album, with moments of brilliance but also ones that made it clear that they needed to streamline things a bit. Included as a bonus track is the wonderful, slightly funky single "Showdown", the presence of which would have seriously raised the quality of the album. In fact, much of the bonus material is far better than the stuff that ended on the album, far more warm, soulful and less experimental.